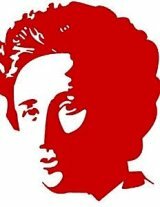 Mostly dedicated to Rosa Luxemburg’s concepts of democracy and revolution, the International Conference animated by a wide-range of international scholars – from Germany, Brazil, France, Japan, England, India and Canada – gathered about 200 participants. This success shows how relevant the Rosa Luxemburg’s concepts remain in a time of multi-level crisis. One of her most important contribution to modern Marxist thought is her refusal to separate the concepts of “democracy” and “revolution”. This approach is developed in her criticism of the limits of bourgeois democracy, her conception of the revolutionary struggle as democratic self-emancipation of the “great masses”, her vision of a socialist democracy, as well as her firm insistence – in discussion with Russian revolutionaries – on the importance of democratic freedoms in the transition towards socialism. The economic and financial crisis, hitting so hard significant parts of the world and questioning the social model as well as the democratic structures, has led us to a political crisis that drives away from politics more and more citizens afflicted by both center-right and center-left governments. 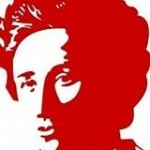 In this respect, Rosa Luxemburg’s questionings on the “masses” relationship with social transformation, parties and unions are more inspiring than ever. To her, a true change can only be assured by a massive people mobilization – beyond a mere “participation”, through forms of auto-organization and self-empowerment modifying the very role of parties and unions. This is the reason why she refuses to separate the concept of revolution from the concept of democracy. One cannot work without the other. Many concrete examples of the interconnection between revolution and democracy can be seen throughout the world – whether it is in Tunisia, in Brazil, in Spain or in Turkey. At such occasions of spontaneous social demonstrations, people take to the streets and demand more democracy. Several speakers have referred to “Rosa Luxemburg’s moments” to characterize such movements. These recent movements, as well as the critical situation we are in, force us to reconsider or even to reinvent the questions addressed to the emancipatory movement as a whole. In this regard, Rosa Luxemburg’s concepts and the debate on their interpretation can be of considerable importance. Petit commentaire en français : je me suis laissé dire par des camarades qui y ont participé que cette conférence n’a pas complètement tenu ses promesses mais que des choses intéressantes y ont été abordées. Peut-on en savoir davantage ? I, too, unable to go, would like to know more about the interesting or promising aspects that were developed.